At Tri-Star, we listen to the concerns of individuals who come face to face with potential danger on a daily basis. Heat, abrasion, cut and puncture threats are ever present and for those who work around them, the price is great when accidents occur. We have developed garment systems based on combinations of fabrics and designs to address those threats. Each part can work very well independently if needed, but by implementing a garment system, all bases are covered. 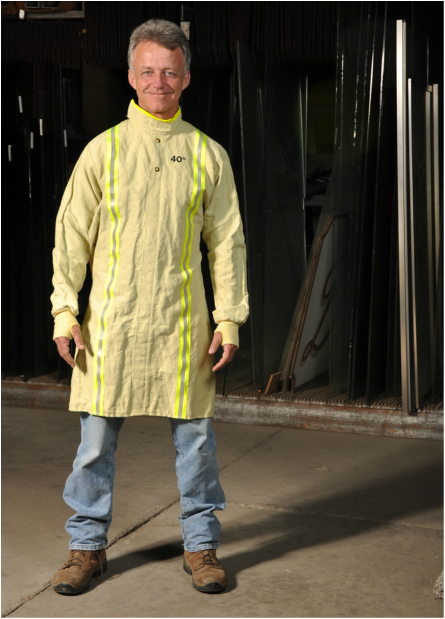 Troy is wearing the TSG-566, a one piece garment. NOTE: The items shown are but a few of the products we have available. Call or email for more details.